Mafia Fiction Books by Patricia Bellomo. In this daring and suspenseful thriller, the first in Bellomo’s “Louie Morelli” series, New Orleans realtor, Robert Fontenay, falls in love with the mobster’s exotic mistress. In Bellomo’s second mafia thriller, Tara Evans falls hard for charismatic mobster, Louie Morelli, becoming his partner crime as they market a stolen diamond and scam a famous filmmaker out of millions. 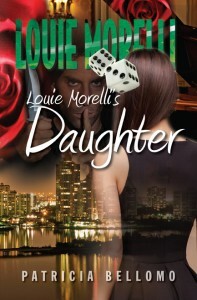 Louie Morelli’s beautiful daughter, Stella, gets kidnapped in this mafia thriller. After discovering that Stella’s abduction is connected to her husband’s gambling debts, Louie goes on a mission to recover Stella and avenge her honor. Along the way Stella is transformed from Daddy’s darling to an accomplice to murder. 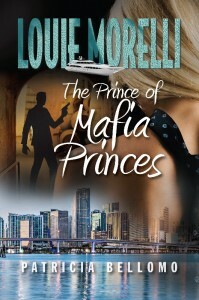 Bellomo’s enigmatic mobster, Louie Morelli, goes to war with the Russian mafia in the fourth books of her “Louie Morelli” series.